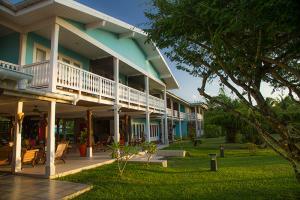 This small country hotel has 15 rooms and is located on the West coast of Raiatea, opposite Bora Bora. The hotel's warm atmosphere and elegant decor make it an ideal base from which to explore Raiatea and Tahaa. Located just five minutes from the airport and 10 minutes from the town centre of Uturoa.